Are we Indian fans truly devoted to MS Dhoni? When the young Indian wicketkeeper Rishabh Pant scored his first Test hundred in the Oval Test, talks about abandoning M.S. Dhoni from the Indian One day team re-surfaced. In fact, there were more talks among the fans and self-proclaimed experts about dropping Dhoni than about appreciating Rishabh Pant’s record-breaking innings. For record sake, Rishabh Pant became the first Indian wicketkeeper to score a Test century in the fourth innings of a Test match. Truly a remarkable achievement for a youngster who was playing only in his third Test. But Pant’s achievement was overshadowed by the noises made by the Dhoni detractors calling for his head. 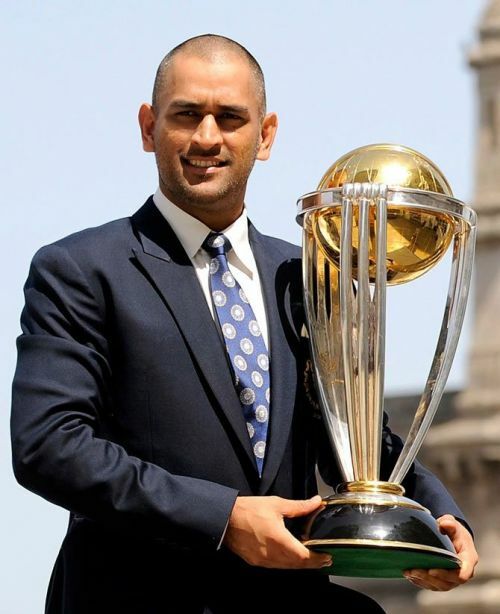 This article is an attempt to introspect whether we, the die-hard fans of Indian cricket team, are fair and reasonable to our World Cup winning Captain M.S. Dhoni. For a change, the selectors and the team management are clear in their vision of Dhoni’s role leading up to the World Cup 2019. They all crave for Dhoni to be present for the all-important World Cup in England next year. It is only the Indian fans who are divided in their loyalty towards M.S. Dhoni. For once, the selectors can’t be blamed for this sorry state of affairs. During the last 2 years starting from 01/09/2016 to 31/08/2018, Dhoni had batted in 33 ODIs and remained not out in 11 of those innings. He has scored a total of 1128 runs in that period averaging 51.27 per innings. Only Virat Kohli has had a better average in this two year period. There is nothing new to add about Dhoni's out of the world wicket-keeping skills. True Dhoni’s strike rate is not that high as it used to be before. To make matters worse, his waning finishing skills has neither helped him nor his team's cause. To be fair to Dhoni, he should not be expected to finish off each and every match. There are others too in the team who can play that role. But the psyche of an average Indian fan is tuned into Dhoni finishing off so many matches from impossible situations. Now when Dhoni is struggling to finish off matches as before, he takes the fall. It is now high time the team should groom some other youngsters for that important role of a finisher. It was always known that with the passage of time, Dhoni’s finishing skills will diminish. Therefore, the better option for the team management would be to promote him to the no. 4 slot in the batting order, allowing him to anchor the innings. Even otherwise, the no. 4 position in the batting line up is vacant as of now with barely 10 months to go for the World Cup. Someone like a Hardik Pandya can take the role of a new finisher in the team and who better than MS Dhoni to look up to. In the current Indian team, other than Rishabh Pant, no other youngster is waiting in the queue to replace Dhoni. Pant too came into international prominence only after his recent Test century. Wriddhiman Saha is not at all in the race in white ball cricket. Saha at 33 is not so young anymore anyways. Dinesh Karthik and Parthiv Patel should not have any regrets as they made their respective debuts much before Dhoni. Had they latched onto their opportunities, Dhoni would not have come into the team in the first place. Hence, the argument that Dhoni stood in their way doesn't hold good. If we were to apply the same logic for wrong reasons, during the days of India’s formidable fab-four: Rahul Dravid, Sachin Tendulkar, Sourav Ganguly, and V.V.S Laxman, so many other aspiring middle-order batsmen of that generation couldn’t get to represent the country. After playing so many years in domestic cricket, such ill-fated players simply faded into oblivion. Coming back to Karthik and Parthiv Patel, both are at the wrong side of 30 and in all probability will hang up their boots along with M.S. Dhoni. Hence, Rishabh Pant is the only practical alternative left for M.S. Dhoni. It will not be in the interest of the team to make such a big change ahead of the World Cup. With the World Cup fast approaching, Team India should be blessed to have an experienced campaigner like Dhoni in their side. This is not the right time to experiment with a youngster like Rishabh Pant. Rishabh Pant could be Dhoni’s under-study till the end of the World Cup and should take over from there. Of all the people in the world, Dhoni himself knows when to retire exactly. He retired from Test Cricket when nobody expected him to do so. 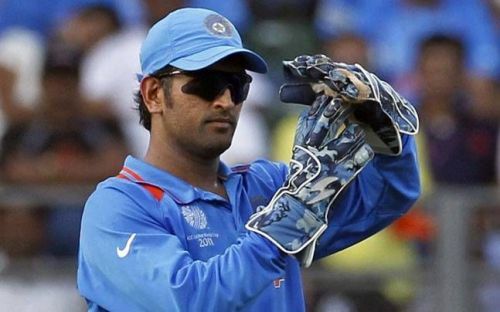 Dhoni has set his eyes on the World Cup in England and would most probably retire immediately after that. The selectors and the Indian fans had been patient to two other legends of Indian Cricket in the past. The great Kapil Dev prolonged his career to go past the bowling records of Sir Richard Hadlee. Another legend Sachin Tendulkar had set his eyes on the magical figure of 200 Test matches. Dhoni, who had twice won the World Cup for India in different formats, is no lesser legend. For the selfless services that he has rendered to the Indian team, he should be allowed to retire on his own terms. Dhoni is not the one who is going to overstay. The West Indies Cricket Board, while in tatters, managed to honour their twice World Cup-winning captain Darren Sammy by renaming a Cricket stadium in his name at St Lucia. Dhoni too deserves all the accolades like Darren Sammy. 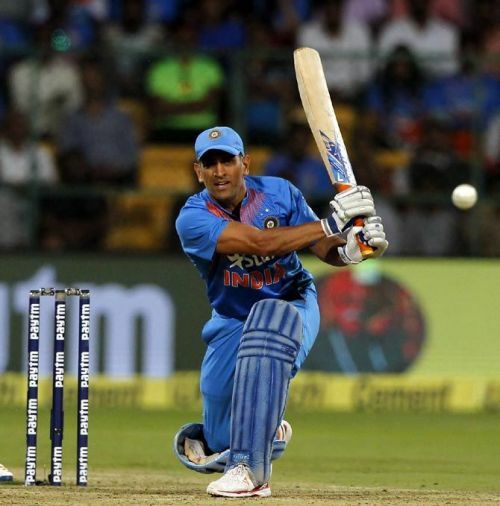 The Indian selectors have made up their mind to continue with Dhoni till the World Cup. It is only the Indian fans who are shaky in their perspective. They should bear in mind that Dhoni has done nothing poor in terms of performance that warrants his exclusion from the team. The other contenders are not as good as Dhoni by any stretch of the imagination. At this juncture, the Indian fans should show patience and maturity. They should stand behind their hero M.S. Dhoni, who is at the autumn of his cricket career. The wholehearted support and the prayers of the fans will go a long way in Dhoni finishing his career on a high by winning the World Cup for India next year.